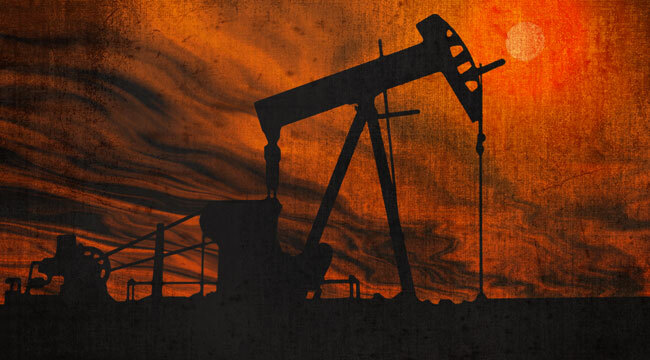 It’s an oil play in the Texas Midland Basin. It may have recoverable resources up to 50 billion barrels using the new oil extraction technologies. This oil boom in the U.S. is still young. It still befuddles most geologist types, who can’t quite fathom how the cards have changed the game so fast. Since 2008, U.S. oil production is up 43%. It’s not long now before the U.S. actually produces more than it burns. It could happen before the year is out. Five years ago, such thoughts would’ve have brought jeers. This wasn’t supposed to happen. The geologists said so! I keep telling people this is a technological revolution. Technological revolutions destroy paradigms. They break things. You have to throw away the old assumptions. They won’t work now. This oil boom is a game changer. Whatever estimates exist, they will surely prove way too low. Technology only gets better and better. Experience tells us how these things work. My favorite example is Kern River. In 1899, when discovered, experts thought only 10% of its modest production would be recovered. In 1942, the field still held 54 million barrels of recoverable oil — after producing 278 million barrels. Over the next 44 years, it would produce 736 million more barrels. At that point, it had 970 million barrels remaining. The history of oil is full of Kern Rivers. In light of that long experience, the new discoveries are particularly huge. Look at what’s going on in the rest of the world. At the Value Investing Congress, Geoffrey Batt, of Euphrates Advisors, talked about the humongous reserves in Iraq. “Iraq has 150 billion barrels of proven, low-cost oil reserves, the fourth largest in the world,” Batt said. “Estimates of proven reserves reach as high as 214 billion barrels, which would give Iraq the second-largest reserves in the world, after Venezuela and Saudi Arabia.” Iraqi oil fields require little cash to bring online and are the cheapest in the world to operate once in production. Iraqis can produce oil for as little as $2 a barrel. Skeptics will scoff at Iraq, as they did as the Bakken and all the rest. They will be wrong. The oil will come out. I still haven’t talked about discoveries off the coast of Africa or in the South China Sea or Brazil or many other places around the world rich in oil. I like Peter Tertzakian’s work. I have ever since I read his book A Thousand Barrels a Second: The Coming Oil Break Point and the Challenge Facing an Energy-Dependent World. That was in 2006. His thesis was spot on. Oil prices soared. But he is unlike so many oil commentators who are too often mere cheerleaders for the black stuff. Tertzakian was perceptive. He recognized the revolution in oil and natural gas. Early. He made airtight cases for a number of then heretical ideas: that the world could kick its oil addiction by meaningful amounts; that Chinese oil consumption would slow; that American and Canadian oil production would grow — a lot. It was a great talk. Gutsy in how it went against the consensus, it was also well supported with great examples and analysis. So I have learned not to discount Mr. Tertzakian when it comes to oil and gas. In the face of all that new production and all those new discoveries, I am not a bull on oil prices. It may be too early to tell the winners and losers among the producers of oil. But there is one clear winner: the users of oil.